Mertensia virginica is a perennial herb; plants dying back in summer ; colonial from a fleshy rhizome; no stipules. Leaves alternate, 5-15 cm long, smooth, slightly fleshy, smooth, margins entire, elliptic to rounded tip rounded to blunt, lower leaves tapered to base, uppermost leaves rounded, base clasping stem. 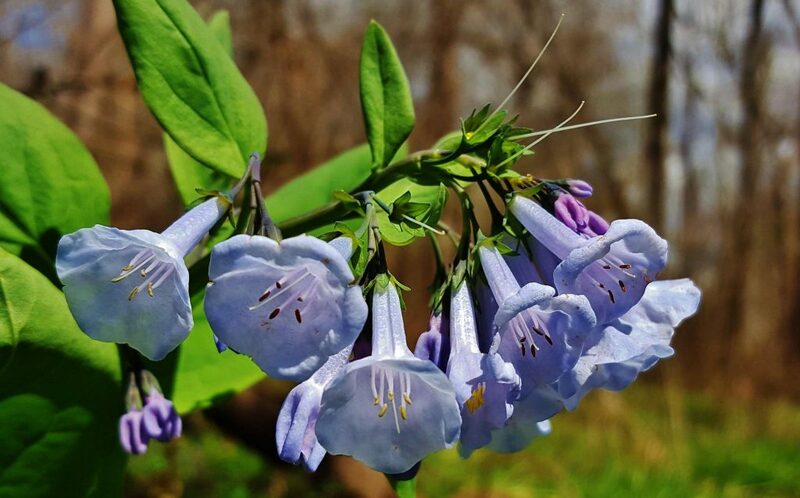 Flowers light blue to lavender; 5-parted, tubular petal lobes flaring outward funnel-like, sepal small, 5-lobed; inflorescence of clusters at ends of branches; stamens 5, growing from the flower tube, mostly shorter than the petal lobes. Fruit dry, 4 nutlets, each attached to the base of the flower (gynobase). 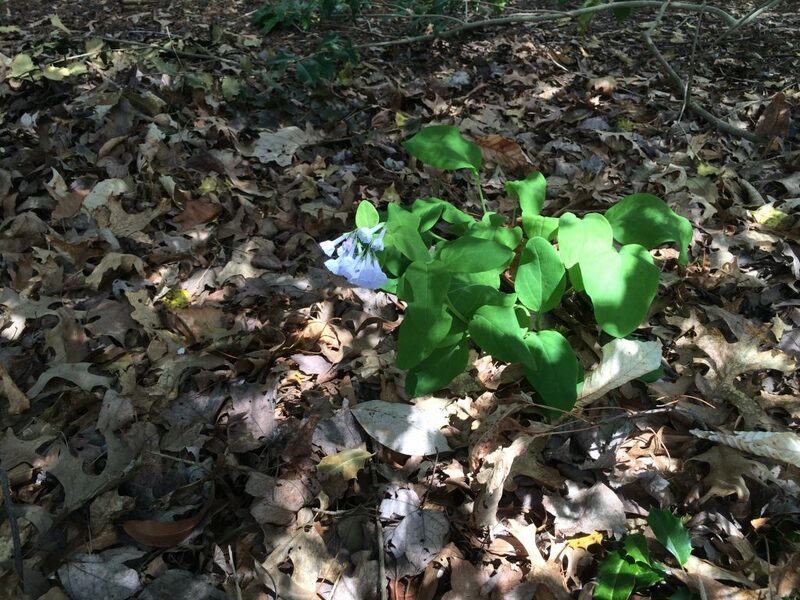 Notes: Mertensia as a wild plant has apparently been extirpated from the City.